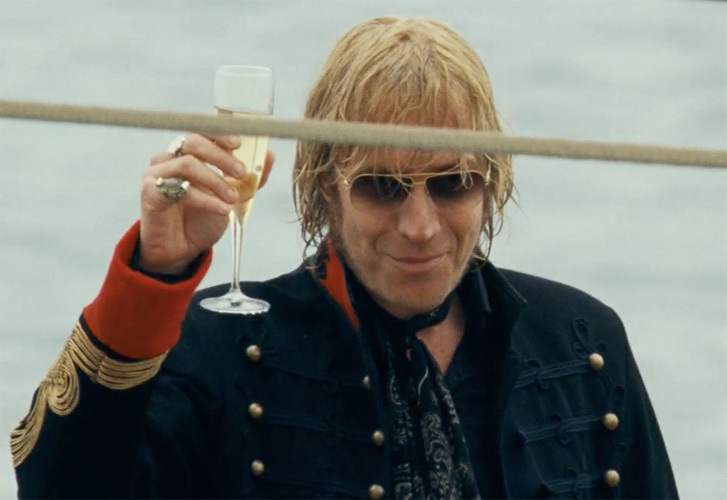 Rhys Ifans wears Mykita Rolf gold aviator sunglasses in the movie The Boat That Rocked (aka Pirate Radio). The classic style of Mykita sunglasses fit this 1960s movie nicely. 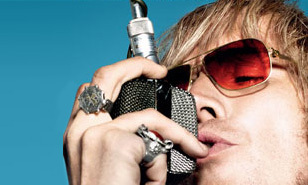 The Rolf is one of the most popular frames of German eyewear brand Mykita. The frames can also be seen on Pierce Brosnan in the movie Salvation Boulevard.